This iconic symbol of both the Mod movement and the Royal Air Force in the United Kingdom is a great way to give your scooter some British flair! Just choose your scooter seat model above! Our fully sewn, hand tailored seat cover is done in a very traditional style. 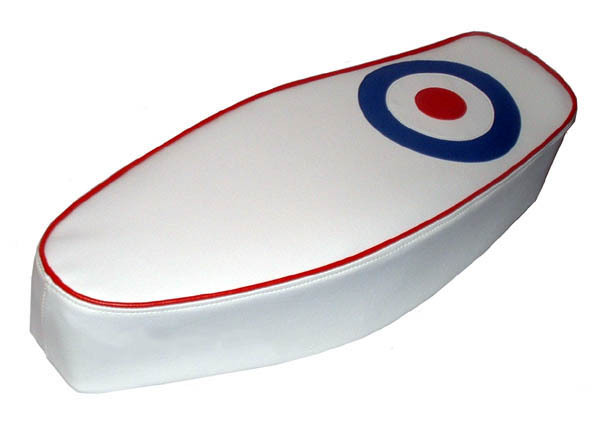 We have a waterproof, white seat cover with flat sides, The RAF Roundel on top, and trimmed in red piping. We can do another piping color if you like, such as white or blue.